SAM, 03 Feb 2014Hi There, can anyone suggest me... Should i buy xolo 800 x-edition...plz suggest all who are u... moreIf u don't have problem with xolo brand then go for it. 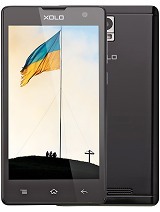 4.5 inch screen, 2100 mAh batter and u can move ur applications to sd card. 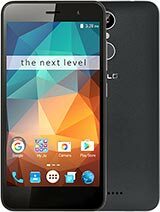 Can I upgrade the OS to 4.2.1 Jelly Bean as this comes with 4.1? 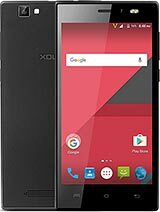 it comes in your budget and specifications are great.i won't think any other android phones of other brand gives you as battery back up as xolo q800 x edition does. started journey at 6am with 100% battery.Journey of 30km with gps navigation along with social networking.took 15photos and one video of 2.45 min duration.turned off gps after the trip.played some songs and watched video of 1080p @30fps.cell went for recharging at 3pm with a battery life of 17%. xolo power management shows talktime n battery hours of duration that can be obtained in dreams only. when you travel through places wid less range den keep in airplane n listen song or video you'll get great back up for hours.but wen u play thro loud speaker in active mode battery consumption is pretty more. as promised it is giving its best.but its take little very little lag to focus..you'll notice only if you are familiar with cameras. games are running so smoothily but wen u return to main menu after the game a little lag of 2 to 3 sec is there which is not xpected from a quadcore. Its been 45 days over now and i am still following with the service center people for getting my phone back which i submitted for having problem in connecting wifi/bluetooth networks. Every day when i am calling to the service center people and i am talking to a different person. I am patiently explaining my problem and they are replying the readymate answer, "Sir wait for some time the problem will be rectified ASAP. I dont know what is the time limit for the ASAP, whether they want to keep the mobile throughout the warranty period. They are telling me that mobile having some hardware problem and the board needs to be replaced and they are waiting for parts. My question is that the mobile is still available in the market, and the company service factory reply is waiting for parts. If the company itself cannot replace the parts,who else they are expecting to do? what is the fun of buying this poor servicable mobiles. ""Dont waste your hard earned money in buying this worthless mobiles." Read my previous post for the complete details. stocksmsb, 08 Jan 2014Dont ever think of buying these xolo mobiles. You will be happy until your handset is workin... moreI got a Xolo Q800 X-Edition phone in the month of November 2013 on the day of Diwali which just stopped working all at a sudden two days ago. I was using the phone while the lights went off on the display. With all my efforts I could not bring it back on at all. I took it to the service center and the person there was not pleasing at all. He simple said "sir you will have to leave the phone and go for now, we will check to see what’s wrong and let you know in two days". I insisted him to check what is wrong and let me know right then, to which he did not agree immediately but after a few minutes of talk, he took the phone and gave it to his assistant and asked him to check what is wrong with the phone. I patiently waited for about 45 minutes and he called me to his desk and said there is some fault with the hardware itself and I need to wait for a minimum of one month for those guys to get back with a solution. He did not promise a replacement nor did he give me a stipulated time frame within which my phone would be ready. He just gave the order number and a telephone number for me to call and check the status(the telephone rang at least a twenty times when I was waiting in the center and no one bothered to answer to it and he gives me the same number to call back for my issue. I'm sure I would not get an answer either). Is this how you give a service to your customers? When the hardware is faulty you need to give me a replacement immediately. It’s really disgusting and unprofessional for you to say, that I need to wait for months to get a replacement for the faulty phone that you sold me. knowingly you are one of the start-up's and with a trust that you are an Indian company I went with buying your phones. 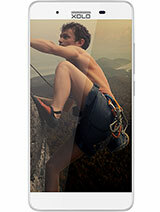 I also brought a XOLO Q700i for my Dad and now he is scared what would happen to his phone. I regret to have buying your products. I will definitely not recommend your brand to any one going forward. Perhaps will I start negative marketing your products near the local stores who are selling your products on every weekends and at my leisure, if my issue is not sorted in a week's time. I'm not really happy with you XOLO. Dont ever think of buying these xolo mobiles. You will be happy until your handset is working fine. If anything goes wrong during warranty period and you are supposed to submit the mobile to service center and then your life is miserable there afterwards until you get back your mobile. 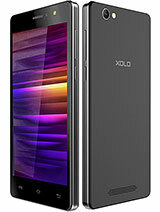 I bought Xolo q-800 x-edition mobile in the month of November 2013. For the 1st 10 days the mobile was working good. Later it developed a problem in wifi/bluetooth connections, sometimes it will connect and many times it keeps on scanning to connect and fails. I raised a complaint to customer care and they given a complain number and asked to submit the mobile to nearest collection point. I did the same on 11th of December 2013. Till date i have not received my mobile back. When asked to the collection center they say that it is sent to the repair factory at bangalore and asked to follow up with Customer care center for details. I am calling them on a daily basis since last 20 days. Every time a different customer care member is speaking and i am explaing about the problem asking for a reply, everybody is replying that the mobile status is showing under repair in their system and asked to wait for some more days until the status get updated. Upon frustration i asked them to connect to their superiors they are asking to hold on the call for some minutes and the reply every time is that superiors are busy,and so that they exclate the complaint status to superiors. This happend almost 10 times. Can somebody suggest any other mode to contact Xolo top officials as these service center people are only trained to tell the same answer everytime. Also the collection center where i submitted the mobile is no longer a collection center for Xolo. So no proper response from them. They claim that around 60 mobiles were sent for repair from this center and it will be serviced and returned back and no further mobile will be collected there. They have changed to some other dealer in the same city. Presently i am worried that i may be getting my mobile back or not. Dont waste your hard earned money in buying these poor service mobiles only because of the attractive specifications. 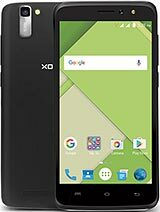 Shankar, 31 Dec 2013Any one tell me about xolo q800x edition... phone what battery back up..? No problem with battery backup bro.